Though AirPlay can currently be used to stream audio to compatible third-party devices, Apple may begin licensing the wireless streaming standard for video as well, according to a new report. Citing two people familiar with the project, Bloomberg reported on Wednesday that Apple could allow other device makers to use AirPlay for "streaming movies, TV shows and other video content." One person reportedly said that such devices could be made available as soon as this year. "An expanded AirPlay would let users stream programming wirelessly from an Apple mobile device to a TV that carries the technology," authors Cliff Edwards and Adam Satariano wrote. "That may spur wider use of Apple's services and devices in consumers' living rooms." The strategy could negate the need for users to purchase Apple's $99 Apple TV set top box, currently the main beneficiary of the AirPlay standard. If HDTV makers were to integrate AirPlay into their products, it could also pour cold water on longstanding speculation that Apple intends to build its own connected high-definition television set in the near future. If Apple does license video streaming with AirPlay, it would be an unusual step for the company, which typically does not license its software to other companies. However, with last year's announcement of AirPlay, Apple did reveal it was working with third-party device makers to allow integrated streaming audio compatible with the new standard. A handful of those products are already available on the market. According to Bloomberg, those who sell AirPlay-compatible devices pay Apple $4 for each device sold, as part of the licensing agreement. It was also said that the existing AirPlay technology used by manufacturers allows for video to be streamed, though the licensing prevents it. The report also said that Apple's chip partner for AirPlay, BridgeCo., has been working with "several TV makers" on future Web-connected HDTVs. However, it was not known whether the talks were to include AirPlay technology. 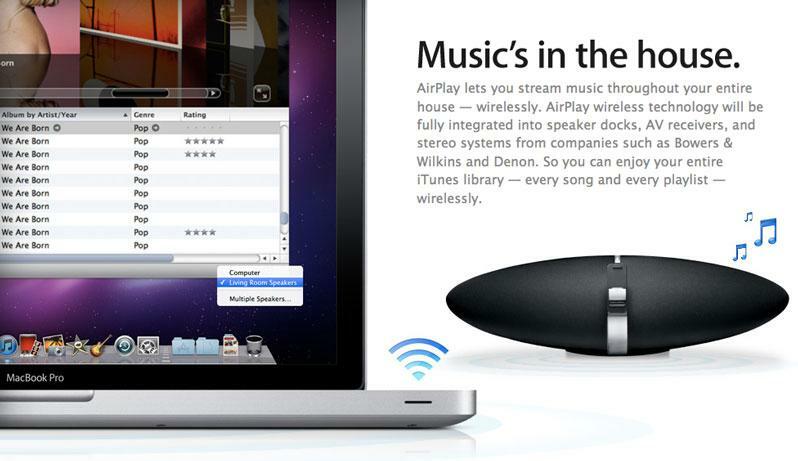 Apple has been quickly expanding the reach of AirPlay since it was first introduced late last year. The iOS 4.3 update for iPhone and iPad released earlier this month added the ability for third-party applications on the App Store to stream AirPlay video out to the Apple TV.